Galadriel “Gilly” Hopkins is eleven years old, and has been bounced from foster home to foster home. When she comes to Mrs. Trotter’s house, she decides right away to dislike Trotter, as well as her new foster brother William Ernest, Mr. Randolph, the elderly blind gentleman who lives next door, and her teacher, a black woman named Miss Harris. Instead of trying to make things work, Gilly plans to take advantage of any kindness shown to her and use it to find a way to be with her mother, Courtney, who sends occasional postcards but has not been around in eight years. As Gilly’s time with Trotter wears on, however, she becomes accustomed to the collection of people who make up her new family, and she begins to regret the letter she sent begging her mother to rescue her. Unfortunately, just when Gilly truly begins to feel at home, another change comes that prompts her to grow up quickly and realize her love for the people who have cared for her. 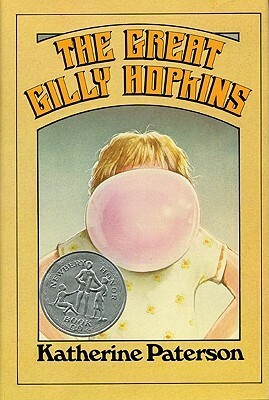 The Great Gilly Hopkins is a book I owned throughout childhood, but never read. 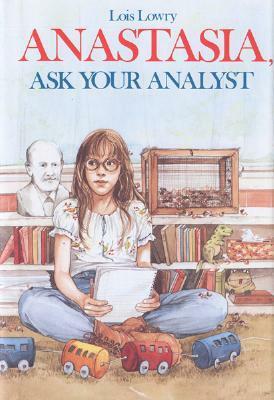 It was recommended to me frequently, as I was a self-proclaimed realistic fiction reader, but Gilly, who is a mouthy, nervy, dishonest, and sometimes racist foster kid, was just a little bit too real for sheltered little old me. Lately, though, I have become curious about some of these so-called great books I outright refused to read as a kid, so I decided to give this one another chance. I can’t say that it’s my favorite, nor is it something I would have liked as a child, but I can now appreciate its value and understand why it received Newbery Honor recognition. I think the great thing about this book is that it never becomes maudlin or sugary-sweet. Gilly is suitably rough around the edges for what she has been through, and her negative attitude is both appropriate to her situation and part of her charm, even when the reader doesn’t agree with everything she believes or claims to believe. Though Gilly obviously changes and overcomes some of her issues as the book progresses, the reader is never beaten over the head with Very Important Lessons or asked to swallow a cheesy message. Instead, Gilly’s life proceeds in a realistic, organic fashion, and the reader is left to piece together what she has learned on his or her own. The ending is satisfying, but not too tightly tied together, and the reader is left feeling hints of both hope and sadness. I have reviewed quite a few books about foster families on this blog, and along with The Pinballs and The Story of Tracy Beaker, this one is one of the best. Each character is fully-realized and displays unique flaws. The story touches on some of the flaws in the foster care system as well as the disappointments kids face, but ultimately, it is not a story about foster care, or foster parents, but about one specific child and how her experience in a particular foster home shapes her personality, her attitude, and her future. 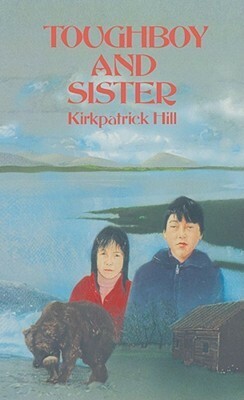 Toughboy and Sister is a 1990 middle grade novel by Kirkpatrick Hill, author of one of my favorite books of the past year, Bo at Ballard Creek. When Toughboy and Sister’s mother dies in childbirth along with her baby, the two kids are left in the care of their father, who has a drinking problem. For a while things are okay, but once their dad begins drinking again, it’s just a matter of time before things go very wrong. While on a fishing trip away from their Alaskan village, Toughboy and Sister witness their father’s death, and then must struggle to survive on the food their father has collected and anything they can hunt or make themselves. With nothing but a battery-operated radio and a curious bear for company, the two kids find a way to survive not just emotional pain, but true physical hardship, until someone comes to their rescue. This is a quick and powerful story, with a much more somber tone than Bo at Ballard Creek. It might be on the same reading level vocabulary-wise, but Toughboy and Sister definitely has more sophisticated subject matter which requires greater maturity on the part of the reader. While Bo at Ballard Creek focuses on the day-to-day fun of life in 1920s Alaska, this book focuses more on the dynamics in the relationship between two siblings in present-day (early 1990’s) Alaska and how their bond as siblings helps them overcome the difficulties they face. Though there are some mentions of the Athabascan culture and of the way people live in Toughboy and Sister’s village, this book is not as educational about Alaskan culture as Bo at Ballard Creek. Rather, the setting is secondary to the characters, and the characters’ surroundings are involved more as obstacles than as places to explore and enjoy. Young readers looking for survival adventures similar to Hatchet and My Side of the Mountain will be drawn to Toughboy and Sister. Though the cover of the first edition (which is the one I read) is pretty dated-looking, and one that would not have caught my eye if I wasn’t already familiar with the author, I think a booktalk mentioning the death of the kids’ parents and a possible bear attack should be enough to get kids past that cover and into the story. The book has large type and is just over 100 pages, too, so reluctant readers and procrastinators might also consider it a good choice for a book report, especially one that is due in just a day or two. The short chapters and compelling subject matter also make it a manageable read-aloud for busy fourth and fifth grade classrooms. Anastasia is now thirteen years old, and between her annoying family and the unpredictability of the gerbils she brought home for her science project, she really feels like she could benefit from some time in therapy. Her parents recognize her dramatics as part and parcel of puberty, and they refuse to pay for any counseling, so Anastasia takes matters into her own hands. She buys a bust of Sigmund Freud in whom she confides all of her problems big and small, and whose assistance seems helpful despite his silence. This book, like the others in the series so far, is essentially a literary family sit-com. It focuses on Anastasia’s day-to-day interactions with her academic parents, precocious little brother and various classmates, putting a humorous spin on everything from homework to early teen angst. Though Anastasia ages from book to book, she always remains uniquely herself, and I am impressed by how well Lowry must know her character in order to write so effectively about the changes she undergoes from year to year. I particularly love that Anastasia is so articulate and self-aware. I laughed out loud when she confessed to her mother that she hated her and then asked for a cure. It’s so refreshing to see a fictional character whose relationship with her mother is that honest, and whose conversations with her parents are so frank. The highlight of this book is Anastasia’s struggle to contain her gerbils, which begin as a pair and quickly grow to a family of eleven. 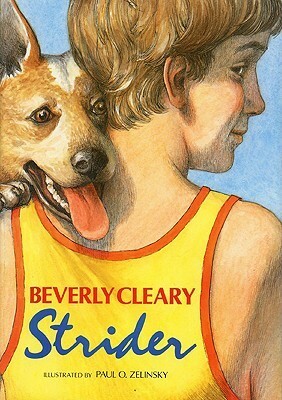 Though class pets getting loose in family homes is a common occurrence in many children’s books, few authors handle the situation with such clever writing or with such amusing collaboration between teen and toddler siblings. Some of the best parts of this book involve Sam and Anastasia secretly working together to keep their mother from learning there are rodents loose in her home. Also interesting are Anastasia’s notes on her science project, which follow a similar format to her likes and dislikes list back in the first book, Anastasia Krupnik. Though this book has one of the worst covers of the series so far, it is one of the more memorable stories. Girls who enter puberty in the middle grade years will especially enjoy Anastasia’s candid descriptions of the experience, and they will laugh along as she confides in “Sigmund,” chases down gerbils and struggles to pin down what it means to be normal.